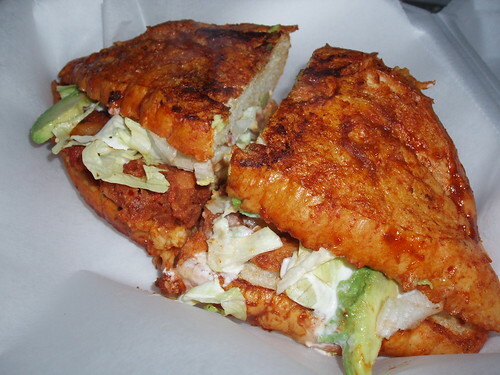 Starting Thursday October 22nd and running until Thursday November 19th, Don Pedro’s will be offering a special on their Pambazo sandwich. The price will be $4 on any Thursday. 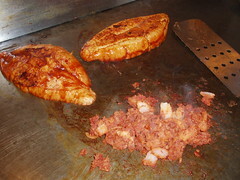 We came to know the owners of Don Pedros during the Nights of 1000 and 1001 Tacos. 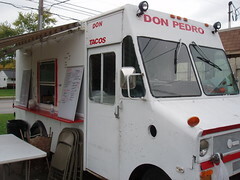 They are newer to the Taco Truck trade and could use a little burst of business as they get ready to weather their first winter in Columbus. As a social media experiment we decided to spread the word about their signature sandwich and get you a better price in the bargain. 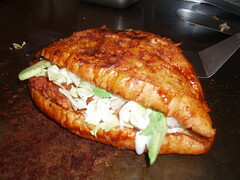 Did you know that the Pambazo is the official sandwich of Vera Cruz? 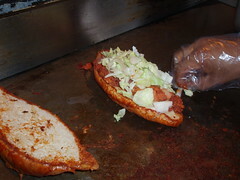 So…while some say Pambazo, at Don Pedro’s the sign says Panbazo (which makes sense Pan=Bread). However one opts to spell the special of the house, the taste is great. 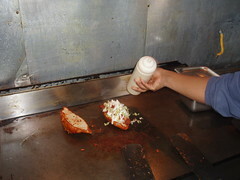 We went behind the scenes to see Panbazo making Don Pedro’s style. 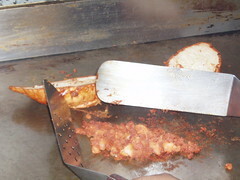 2) Flip buns to toast, start to grill a combination of chorizo, potatoes and beans. So consider giving the sandwich and Don Pedro’s a shot. We hope you like it. Please note this warning: this saucy sandwich can make a mess so take some wet naps, shout wipes or something to supplement the napkins and wax paper that come with the sandwich. 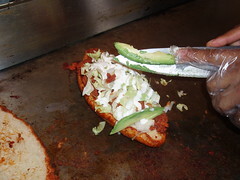 If there are any other special taco truck dishes you want us to explore send us an e-mail. 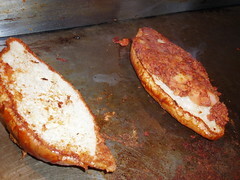 I ran into a TTC reader while getting the Pambazo special at Don Pedro’s today! Tamales on Friday and Saturday starting soon. 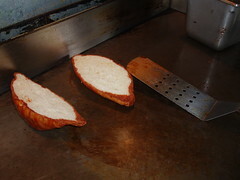 Pedro reports at least 6 new faces stopped in for Panbazos today. Pedro and his wife say Gracias!